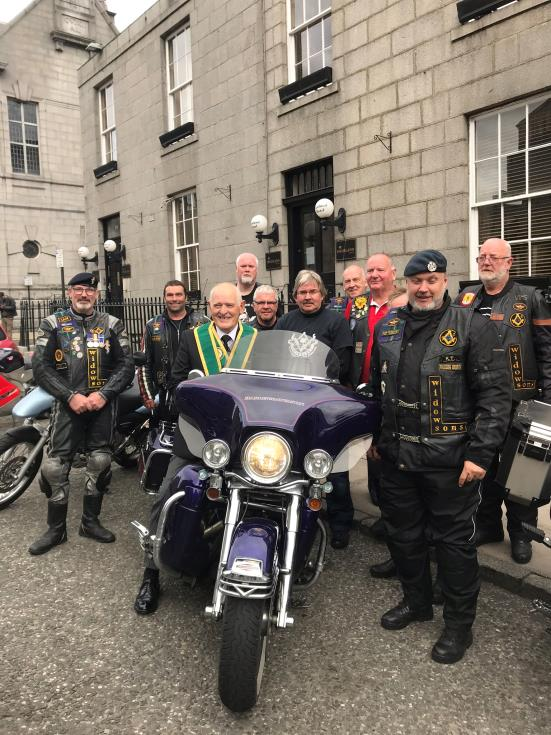 The Grand Lodge of Scotland / Poppy Scotland joint venture (days 8 and 9) to commemorate the end of the Great War in 1918 travelled from Inverness to Aberdeen over the weekend of 1st and 2nd of September. The weather being very favourable on both days. 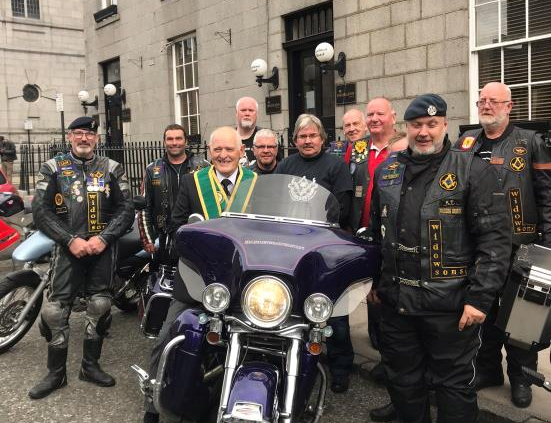 Arrived in Inverness at the Social Club of Lodge Old Inverness St.John No.6, Lodge St.Mary’s Operative No.339, Lodge St.Columba No.1295 and Lodge Drummosie No.1438 to be met by PGM of Inverness-shire Bro. Vincent Geddes. 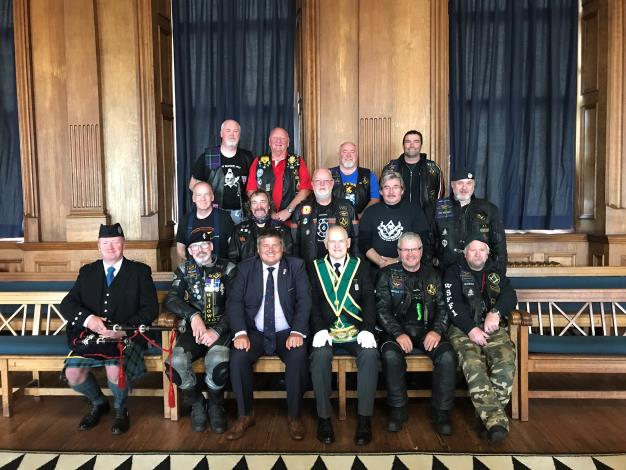 Thank you to the PGL of Inverness-shire and the Daughter Lodges for assisting in organising this morning’s event and their hospitality on the day. 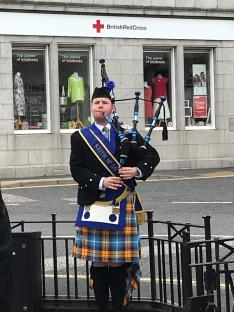 for Lossiemouth where PGM of Moray and Nairn Bro. Ron. Fowler met us. Lodge Pigaveny No. 681 very kindly provided further hospitality. 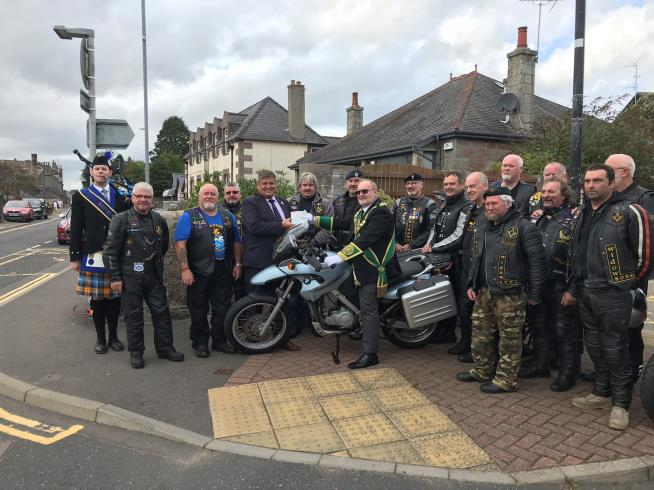 Short drive to Buckie to be met by PGM of Banffshire Bro. Ally Coull. 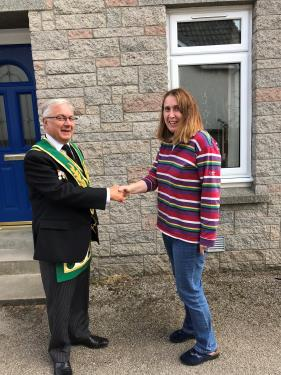 Thank you to the PGL of Banffshire and the Daughter Lodge. Day 8 drew to a close with the weather being kind all day and some relaxation time in the evening in Buckie. 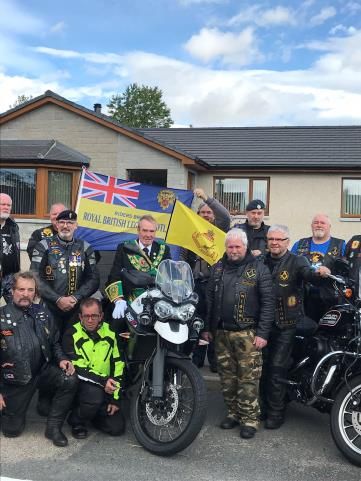 Special thanks to Lodge Gordon’s No.589, Lodge Craigroan No. 1247 and Lodge Bow Fiddle No. 1349 for allowing the WSS to bed down overnight in the Lodge and for their hospitality. 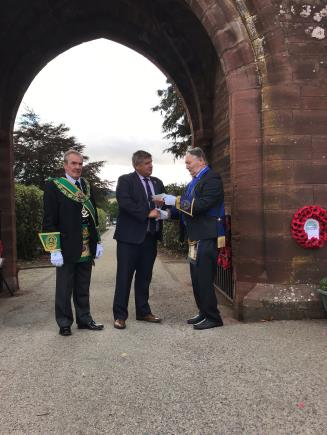 Arrived in Turiff to be greeted with an early morning breakfast at Lodge St.Congan No.922 – bacon rolls, roll and sausage BBQ served style outside. 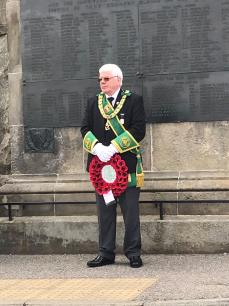 PGM of Aberdeenshire West Bro. Andy Lawrie met an increased number of WSS in attendance today. happening and very kindly made a donation to Poppyscotland. 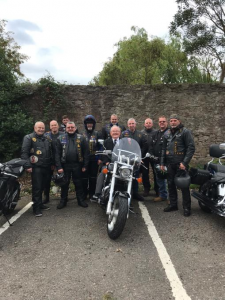 A short drive to Ellon and met by the PGM of Aberdeenshire East Bro. Ron Simpson and his Brethren. The hospitality as always was greatly appreciated and provided by Lodge Ythan No. Headed off to the War Memorial about 100m along the road. The procession was organised by a retired Drum Major. Arrived at the beautiful Masonic Temple in Crown Street, Aberdeen to be met by Depute PGM of Aberdeen City, Bro. Harry Ord. All ceremonies to date have been different and very meaningful in their own way. 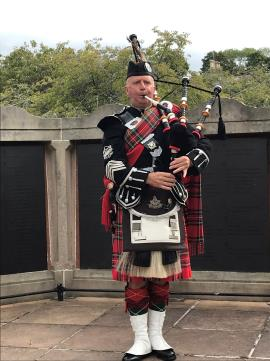 Today we assembled outside the Lodge room and were piped to the War Memorial. I mentioned previously all ceremonies were different and so was this one. Depute PGM Bro. Harry Ord addresses the assembly, where the wreaths were laid at Altar commissioned to commemorate the end of the Great War. 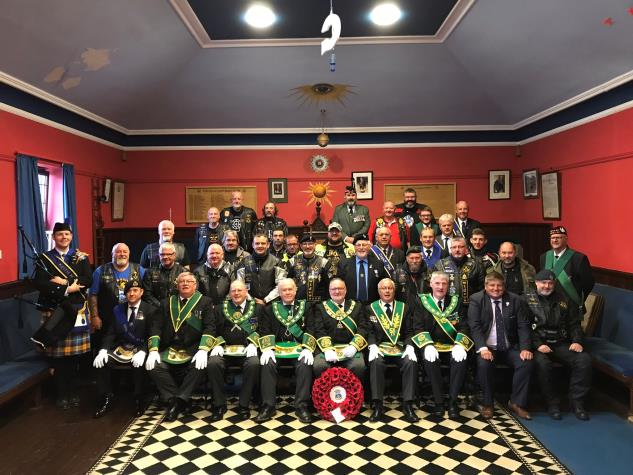 Day 9 draws to a close and another successful weekend meeting many Brethren and their families and continuing to raise funds for Poppyscotland.